Discussion in 'The South' started by brado1, Oct 16, 2012. 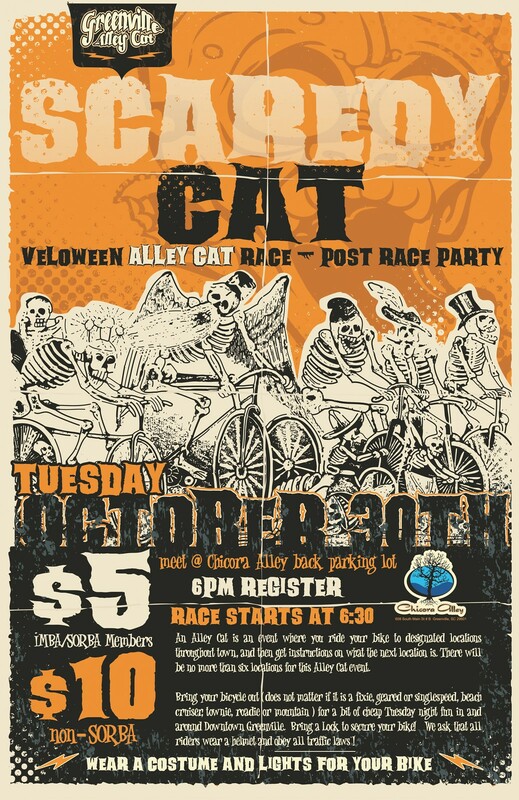 Tuesday October 30th Come Out & Play! 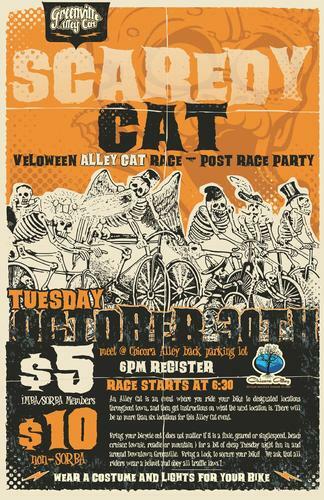 the Alley Cat race registration starting at Chicora Alley; 6:00PM. Race starts 630ish behind Chicora. Dress up in your best Halloween Costume, decorate your bike. Bring a bike light cuz it'll be dark out riding. Bring a lock to secure bike at the party! New Belgium beer will be flowing for the post Race social at Chicora. we'll also have the movie Where the Trail Ends playing on the big screen.